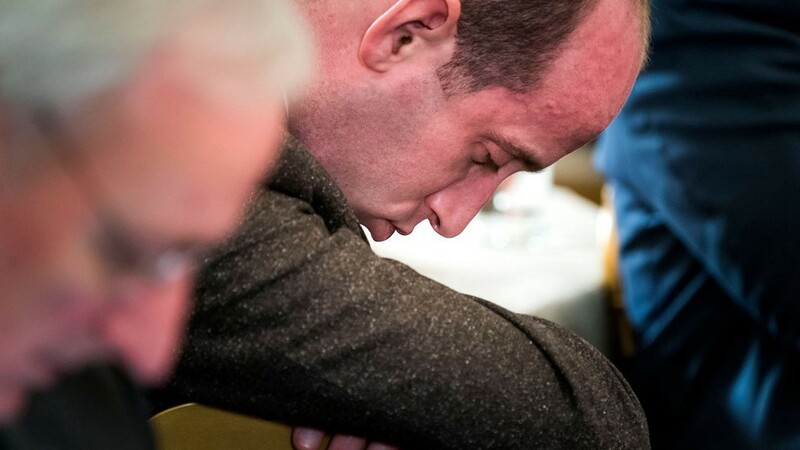 Stephen Miller is tired. It’s hard being a speechwriter. Especially for someone so good at speeching. 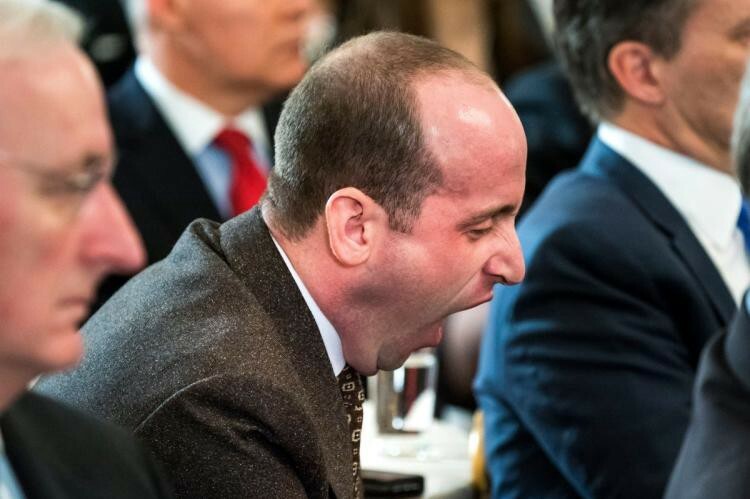 He hasn’t been sleeping well. 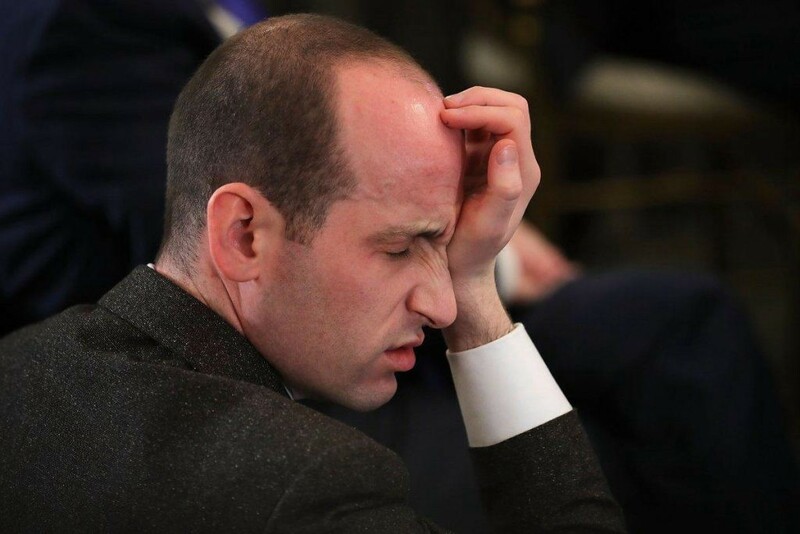 Stephen can’t shake the thought that somehow, somewhere, some immigrants are happy. But this meeting’s not about immigration. It’s about school safety. His eyes start to droop. We’re outside. It’s warm. The president’s giving a speech. Did Stephen write it? Trump’s head snaps up. He stops speaking mid-sentence. It’s only then that we hear the shots. Before anyone can react, he’s running. Running towards the school — the Secret Service scrambling to follow. His brain — his very good brain — has already calculated the most efficient route to the shooter. And he gets there just in time, hurling his body in front of the students. Trump rolls to a stop and pops to his feet. The shooter briefly freezes in shock, but then squeezes off three rounds. He dodges the first two like Neo, but — oh no! — the third connects! The crowd gasps as the president briefly falters, but stands tall. “That might leave a bruise,” he smirks. Trump has no gun, no weapon we can see, and the Secret Service is still far away. But lo!, Donald Trump is never unarmed. He unleashes a devastating burn, an insult so cutting the shooter collapses to the ground, clutching his chest. “MAGA!,” we cheer, but the president isn’t smiling. And before we can thank him, he’s gone. Fox & Friends is on, and it’s not going to watch itself. Is it Stephen?